Courtney Barnett appeared on Jimmy Kimmel Live to perform her songs “Need A Little Time” and “Charity” from her album Tell Me How You Really Feel, released May 18. Courtney Barnett is currently on tour in Australia for the month of August. Following her Australia dates, she will be heading to the United States and the United Kingdom. Check out the tour dates by visiting her website. 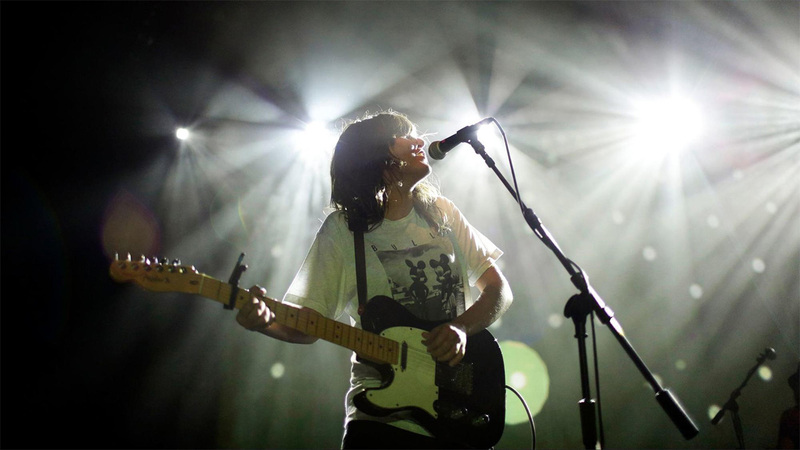 Courtney Barnett prefers Ernie Ball Regular Slinkys and Earthwood 80/20 Bronze Light Acoustic Strings. If you want some more content from Courtney Barnett, check out our String Theory episode, where Courtney talks about what playing live means to her. Leon Bridges played his hit “Beyond” from Good Thing on The Tonight Show Starring Jimmy Fallon. Check out Leon’s smooth performance in the video linked below. Leon Bridges is on a Fall tour for his album, which released on May 4th. The tour began and is currently in the United States, but will be heading over to Europe in late October. He will also be featured in Good Morning America in New York on August 17th. Leon Bridges and his band play Classic Rock and Roll Slinkys, Regular Slinkys, and they use Ernie Ball Coiled Guitar Cables. 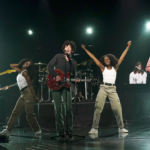 LANY recently played for The Late Late Show with James Corden. They played their hit single “Thru These Tears.” Lany is currently on an International Tour that will arrive in the United States for its final stretch in late October. “Thru These Tears” was released from LANY’s upcoming album, Malibu Nights. The album is expected to drop any day in August and will definitely be full of heartfelt songs like “Thru These Tears.” Frontman Paul Klein said that the album was produced after a breakup, and is packed with emotional heartbreak. The LANY trio chooses Ernie Ball Regular Slinkys whenever it is time to restring. Ariel Bellvalaire recently performed for ABC’s The Gong Show. The show aired August 2nd and featured Ariel shredding a minute long solo while doing gymnastics! Check out the unbelievable performance in the video below. When Ariel is not performing high-intensity stunts, she is a singer and lead guitarist in the all-female empowerment band “Femmology.” Learn more about Ariel by visiting her website. Ariel plays with Skinny Top Heavy Bottom Slinkys and 7 String Super Slinkys. St. Vincent made a remix of fellow Ernie Ball Artist Maroon 5’s “Girls Like You” featuring Cardi B. St. Vincent announced the track through an Instagram post. You can listen to the remix now on whatever site you use. St. Vincent is currently on her Fear The Future Tour that continues through October. You can listen to St. Vincent’s newest album, Masseduction, that came out in October 2017. Austin City Limit’s 44th Season will also kick off with an hour-long premiere of St. Vincent on October 6th. You can either watch it live or tune in following the live showing via PBS’s website. PBS will have the episode online for free viewing for a limited time after October 6th. The article goes on to talk about who St. Vincent was influenced by growing up. Stay updated with St. Vincents whereabouts by signing up for her newsletter. St. Vincent has her own Ernie Ball Music Man Signature guitar collection. She also plays Regular Slinkys, Paradigm Regulars, and RPS 10 Slinkys to achieve her signature tone. Alkaline Trio has released the title track to their upcoming record Is This Thing Cursed? The album will be released to the public on August 31st. The group also dropped “Blackbird” from the album in July. Alkaline Trio will be heading out on a monstrous tour for Is This Thing Cursed? this Fall. The dates include Chicago’s Riot Fest. Alkaline Trio performs with Light Nickel Wound Electric Strings, Medium Light Aluminum Bronze Acoustic Strings, and Bass Regular Slinkys. Mayday Parade is starting off their Welcome to Sunnyland Tour this Fall directly after headlining all Summer for the Vans Warped Tour. 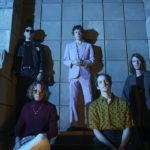 The tour will be supporting their new album, Sunnyland, which was released on June 15th. The band will start off in their hometown of Tallahassee, Florida on October 2nd and is their first headlining U.S. tour! Tickets for upcoming events are available on their website. Check out their title track to Sunnyland in the video below. 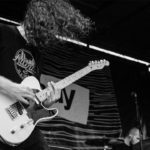 Mayday Parade chooses Not Even Slinky and Bass Power Slinkys to achieve their exciting tone. Beartooth is headlining a massive tour with fellow Ernie Ball Artists, Knocked Loose, and Sylar backing them up. The tour will be in support of Beartooth’s upcoming album Disease that will release on September 28th. The tour begins September 14th and will wrap up by November 17th. 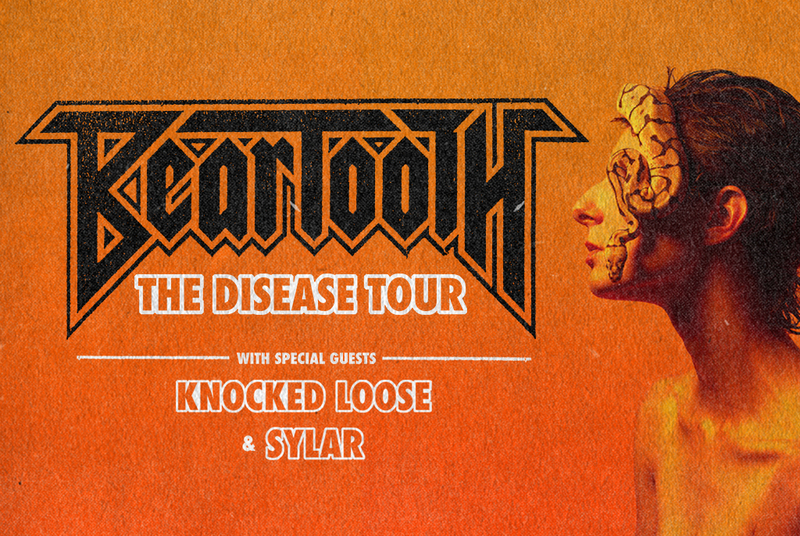 Check out the Disease Tour dates by following this link over to Beartooth’s website. Sylar is also releasing a new album, Seasons, premiering October 5th. They recently released a new single, “All Or Nothing.” Sylar’s bassist, Travis Hufton, plays with an Ernie Ball Music Man Stingray Bass. Beartooth plays Cobalt 7 String Regular Slinkys and Coated Bass 5 Strings. Knocked Loose uses Cobalt 7 Skinny Top Heavy Bottom Slinkys and Bass 5 Power Slinkys. Sylar prefers to use a custom set of Ernie Ball Electric Single Strings and Bass 5 Power Slinkys. 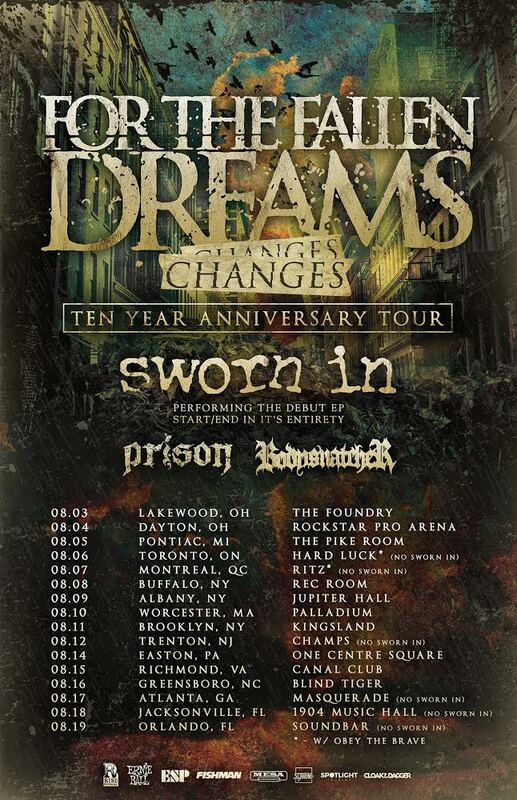 For The Fallen Dreams has hit the road for their ‘Changes’ 10 Year Anniversary Tour. The tour began August 3rd and will be performing at venues along the East Coast, including a couple dates in Canada. Ernie Ball Music Man artist family members, Sworn In and Body Snatcher will also be headlining the tour. For all of the vinyl junkies out there, For The Fallen Dreams has also announced they will be selling vinyl copies of ‘Changes.’ You can purchase them via their website. 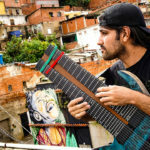 For The Fallen Dreams prefer to play with a custom set of Ernie Ball electric single strings. 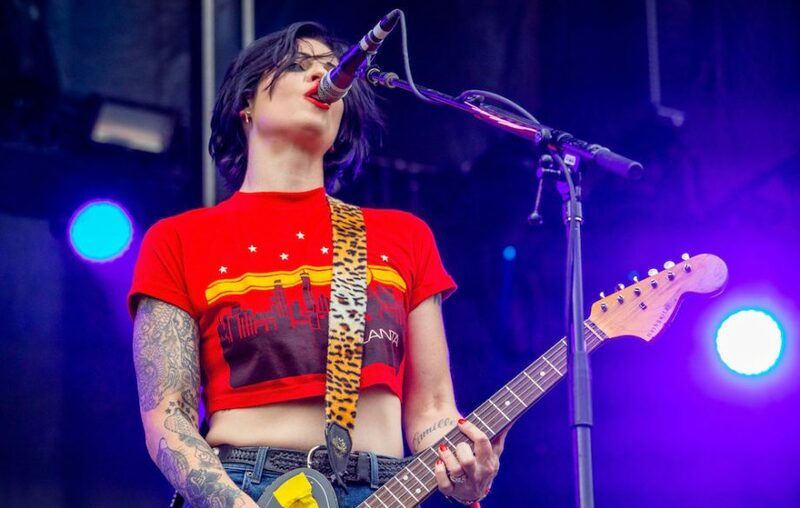 The Distillers have announced they will be playing a short West Coast tour this fall. 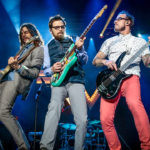 The band last toured together in 2004 but played a short string of gigs in April and May of 2018. The tour will begin September 10th in Vancouver and will finish September 20th in Las Vegas. The Distillers front woman, Brody Dalle, posted on her Instagram to share her excitement about getting back on the road! You can grab tickets to their show by going over to TicketMaster. The Distillers play with Power Slinkys and Bass Hybrid Slinkys. Fuh Yeah! Paul McCartney Releases New Single "Fuh You"